Dallas Beeler picked up his second career loss after only lasting 1.1 innings against Colorado. He surrendered four earned runs off of four hits and three walks. He was only able to come up with one strikeout. 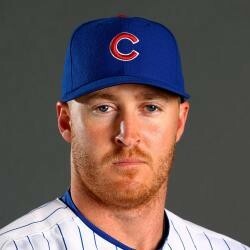 There has not been a decision on whether Beeler will stay up as the fifth starter, but with Clayton Richards pitching well in Iowa and Travis Wood pitching well in long relief, it is hard to imagine that Beeler stays a big leaguer for much longer. His season ERA sits at 9.72 with a 2.52 WHIP.